Up to Speed: Fake Food? I've been back on my diet and very good since Jan. 1st. I have a good jump on losing the weight I need to and getting back where I want to be. The food that I can eat on my diet can be pretty boring and I am often looking for ways to make it more interesting or flavorfull. 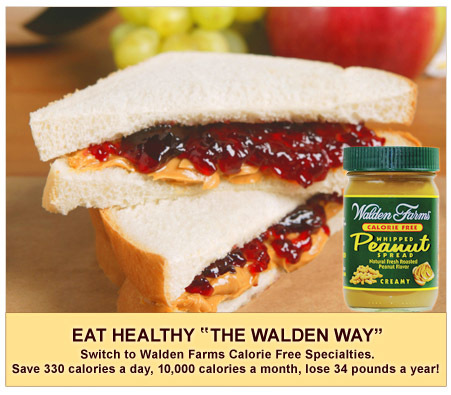 Walden Farms has a whole line of products that are calorie, carb, fat and sugar free. I am not quite sure how they do it. I have just spent a little bit of time on their web site and it seems to have something to do with vinegar, spices, xanthum gum and splenda. I have tried quite a few of their products. I have to say, I wouldn't jump up and down over any of them. However, when I have been dieting for awhile, they suddenly become more appealing. Last Fall, I found Walden Farm peanut butter "spread" and jam over at Hadley Farms in California. 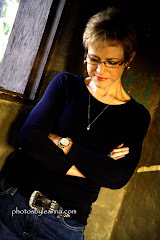 I was pretty excited, because peanut butter is one of those things that I hunger for on the diet and that always seems to taste as good as I had hoped when I come off.I tasted it and didn't care for it much. Especially the apricot jam. There was something about the texture.... But now that I have been on the diet for about 7 weeks, I saw it in the fridge the other day and tasted it again. Suddenly it seems much more appealing. I have been taking a spoonful of them both and bringing them to work for a little "treat" or snack sometime during the night. It is kind of fun. I suddenly got a little worried about what is going to happen when I run out because I haven't seen any of it in the stores here. So I just went on line and found their website. It was interesting to see all their products. I have noticed before that the higher the fat content of whatever the original stuff would be, the worse the fake one tastes. Still, I am going to have to try the Mayo. I recently found sugar free pickle relish. I think it would be fun to make some tuna salad. So we will see how this goes. Meanwhile, I have ordered replacement peanut spread and some strawberry jam to try...I'll let you know!